← Previous Previous post: Going to Libre Graphics Meeting 2011 in Montreal! Video can not be viewed with Firefox 3.6.16 and that is what ships in Fedora 14. This is awesome. Would be nice to get a tablet spin of Fedora. Where can I purchase that tablet? 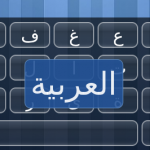 Good to see a nice virtual keyboard in the linux desktop too! What a wonderful review of Gnome3 ! It’s really awesome ! I can’t wait to try it on a *PAD ! Awesome! I have translated it to Spanish. Is it possible to run this program in the mode, where the keys are circle shaped? I theorise, that because of the circle nature of the finger tips, navigating towards circle shaped keys would make it easier to type on screen, without the need of a physical keyboard. Also, this woulc cause the aiming to be more easier, giving the user clear boundries where the hit zone actually is. Having keys that are visually circular would be very easy, this can be done simply by changing the graphical assets of the theme (in an SVG file)! You are so right. I indeed believe that this would be the right foot to start with. However, some people in Gnome seem to want to invent their own keyboard instead of using Maliit, which I think is effectively a step back. Youtube requires Flash or WebM support, which might not be available out of the box in F14. I will try to upload a ogg/vorbis/theora video for those who cannot or will not use youtube. Yeah, a tablet spin would be nice. I do not think I/we have the time to create and maintain a tablet spin right now, but once we have packages we will definitely help people doing it. The WeTab can only be purchased in Germany, unfortunately. It uses a reference design from Intel, so you an essentially get the same tablet from other manufacturers. I believe that the ExoPc is available in the US, for instance. is there a 7″ linux compatible tablet out there that has the horses needed to run something modern? Looks nice, although It should either overlay that maximized window, or restore the size when going away. If defining the shape the keys take is so easy, why not offer the Round Keys as a Pre-set? I mean, if it’s as easy as you say it is, it shouldn’t take you that long to create! Of course, although this might not be as efficent as the round rect keys, at least you’d be giving the users the choice to use round keys if they so wish! Is there a way to expand automatically the keyboard to the screen width ? It would be also cool to have some kind of automatic overlay (like on smartphones) once we hit a text-editable zone (thus you will not have to resize the window afterwards). Wow, that would be really good, although Gnome have alot in Shell interface and many programs wouldn’t be really usable the way they currently are. Question, couldn’t therer be a smart input that would write the most possible word while you write? I know that OpenOffice has this feature, but I’ve only seen it there…. Smart input as you say is possible, one just needs to plug in an error correction/prediction engine. There is no FOSS implementation of that at the moment, but this would be pretty easy to do. One could for instance then use the same engine that OpenOffice uses, just wrap it to fit our interface. Nice looking KB with some great features. You should get it added to that Gnome OSK page you link to as a reference implementation for them to look at rather than reinventing the wheel. I wonder if this keyboard could be run as part of the Gnome 3 notification area. Those pop-ups seem to float over the active window rather than displacing them and are easily dismiss-able/ignored if you accidentally tapped on a text entry field. The OSK coming up when I don’t want it to (for instance when a webpage first loads and forces the cursor to a text field) is likely the biggest annoyance with my tablet OSK. Fantastic start! But why did you choose to resize the window instead of making the keyboard an “AlwaysOnTop” window? As requested, three variations on the theme. Maliit is the tagalog word for small. @Leo: given that our background is MeeGo, customization is an important feature for us. The price for that is rather complex semantics, as can be seen by the crowded CSS file (http://meego.gitorious.org/meegotouch/meegotouch-inputmethodkeyboard/blobs/master/m-keyboard/theme/libmeego-keyboard.css). For MeeGo 1.3 for example we plan to restructure our packages a bit to ease customization even further. In the end though my focus is on improving usability, and whilst we reached a good usability on handsets already (also due to tight integration with the MeeGo Touch Framework), we are far away from that quality on tablets, to be quite honest. Our theming capabilities are nevertheless good, but new ideas need to fit our concepts of usability. When would this been available to download? Maliit is my favourite keyboard to use on a tablet and can’t wait to use it in Fedora 15. It looks nice, but that video doesn’t show Maliit on the gnome-shell overview. FWIW, “invent” a new OSK from scratch was not proposed. It was proposed re-use existing OSK like eekboard or Caribou. @API. I saw other OSKs proposed as well (the whiteboard page has more), but it still seemed to me the shell developers wanted their own own solution. Maybe I read the situation wrong. Itching to get my hands on the Fedora packages for Maliit!! Any updates on when it will be available? Also can you change the settings in order to make the keyboard overlay other applications since I don’t really have the screen space to resize the window in order to fit the keyboard on as well. In MeeGo I could always swipe down the keyboard to hide it if it was blocking my view. Ollie: We hope that Fedora packages will be available in the next couple of weeks. For the keyboard to overlay applications is the default behavior. The video showns some experimental window relocation feature I did. I did not mention it in the post because at the time it did not work too well (no undo when keyboard is minimized). I have install Fedora 15 x86_64 w/ Gnome Shell on my tablet, but can’t get the Maliit keyboard to start. I’ve installed Maliit as described under Fedora on this page: http://wiki.meego.com/Maliit/Installing.I think it went well. I’ve tried to create the file /etc/xdg/autostart/meego-im-uiserver.desktop as mentored in the link above under MeeGo and added both “export QT_IM_MODULE=MInputContext” and “export GTK_IM_MODULE=MInputContext” to ~/.bashrc but I can’t start the keyboard. @Louis: My blog is not the support channel for Maliit, use our communication channels as described on the main wikipage if your problems continue. Note that the GTK+ inputcontext is called meego-im, not MInputContext so have to do “export GTK_IM_MODULE=meego-im”. Also note that the .desktop file from Meego cannot be used on Fedora (it contains OnlyShowIn=X-MEEGO-HS;X-MEEGO-NB). Please start the uiserver and the application in a terminal to verify that it is working before trying to do autostarting et.c. Integration packages for Fedora that will make this just-work(TM) will be provided soon-ish. 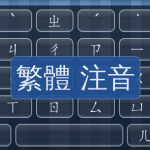 That’s a really nice effort for an on-screen keyboard! Very cool indeed! Are there already packages for fedora 15 out to get maliit installed? Integration package is missing though (theming and autostart). Where do we get ARM packages for Ubuntu? I would like to install in an Ubuntu Chroot on the HP TouchPad, probably in LXDE. I am not aware of any pre-build Ubuntu packages for ARM, and I don’t think that we will provide them in the foreseeable future. The code is portable, and known to run on ARM (Nokia N950/N9), so you could use the existing debian meta-data as a base for creating such packages.